T. Scholl Fine Woodworks recently reached a thousand saves on Houzz. 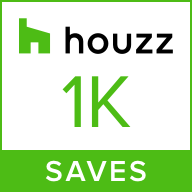 This means photos of our custom cabinetry and hand crafted furniture have been saved by Houzz users a thousand times. It is a special honor to know that so many people are interested in our craftsmanship. Have you found T. Scholl Fine Woodworks on Houzz yet? You may be wondering why should you consider finding us on Houzz. When you check us out on Houzz you can view many of our projects and save your favorite pictures of various styles of furniture or features in custom cabinetry. Then, communicate directly with us about the designs you love and what you hope to see in your kitchen or heirloom piece. You can also read reviews written by clients we have worked with. We look forward to talking with you about your upcoming custom cabinetry project or wish list for handcrafted furniture.